1. 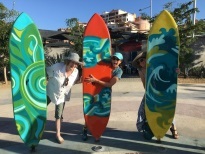 Mexico culture immersion. I’m not just talking about Margaritas though they were certainly featured along with a daily taco bar poolside – but the gracious Mexican ambassadors who sang, danced, and taught us about this beautiful country and culture. My sister and I even braved a salsa and merengue dance lesson – technically not Mexican but the Latin vibe is irresistible under the warm Mexican sun. 2. Spa day! 3 leisurely sea days provided the inspiration for complete relaxation. The hot stone massage was heaven as were the heated tile beds and steam room looking out over the gentle Pacific waves. This Holland America ship was the most stable I’ve ever sailed on …. no rolling sensation on shore, just a gentle rocking to sleep every night. 3. Champagne Dreaming. 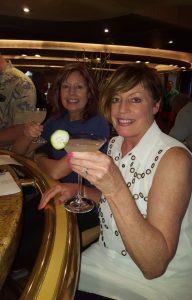 I fell in love with the Champagne Dream –one of Holland America’s signature cocktails. This drink is light and refreshing but packs a punch too! This was our go-to cocktail for the sunset. We visited several of the bars but our favorite bartender, David, worked at the Pinnacle Bar and was the super fun mixology class instructor. Yes, my sister and I both got our degrees in mixology! 4. America’s Test Kitchen. What an awesome partnership Holland America has with ATK. Our America’s Test Kitchen host Abbie was just delightful and I came home with lots of practical tips and great easy fast recipes. My husband thinks I’m an obnoxious kitchen know-it-all now! 5. Coffee break. Smiling and gracious staff greeted us everywhere but we have a special fondness for the barista at the coffee bar – and we’d sit for minutes on port days or linger for hours overlooking the Pacific on sea days. 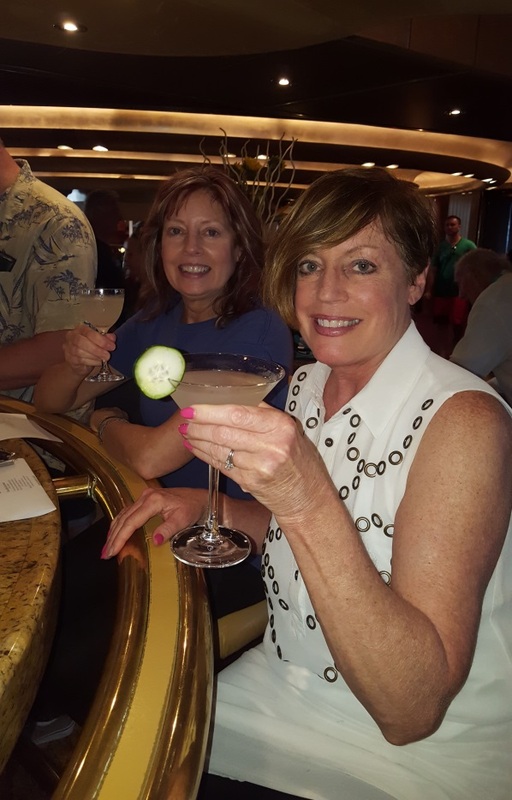 Great staff, good food, leisure time to enjoy the company of friends and family, and the beautiful sea sum up the Holland America cruise experience. Interested in exploring Holland America itineraries and destinations? It’s as easy as giving us a call to get you onboard.